The HPT Weight Simulator has been designed and manufactured for a local Aerospace OEM to test the weight of an engine component. 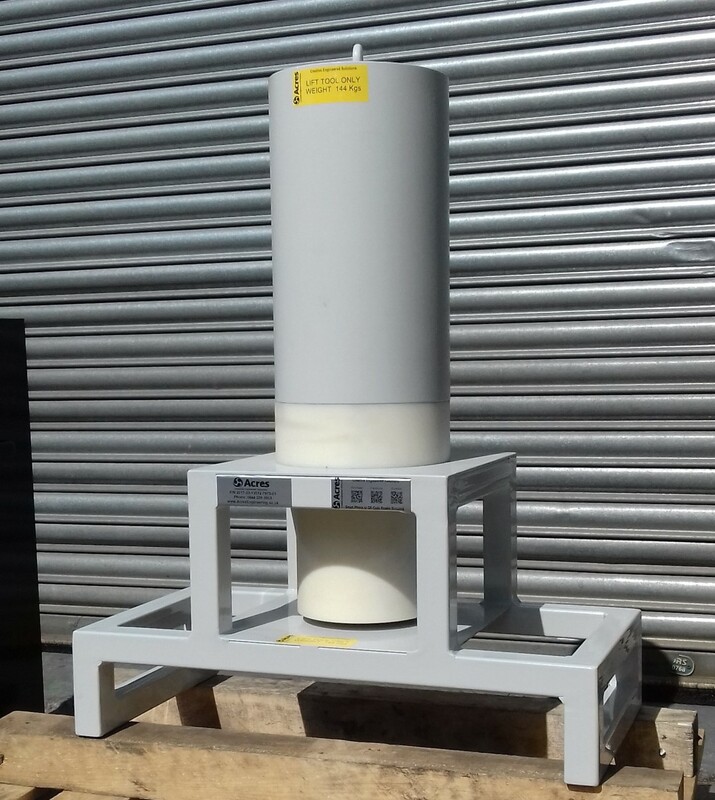 The weight it self sits on a 40 x 40 frame work which will allow access for the whole unit to be moved using a pallet truck or fork lift truck. The box section on the frame work has a thin walled box section to provide an optimum strength vs weight solution. Sat on the box section, there is a flat sheet with a hole in it for the weight to sit on when it is being transported. The weight has been manufactured by a solid steel boss with a machined plastic boss on the bottom so that there is no metal to metal contact with the base of the unit. The weight has a lifting eye on the top of it so that it can be manoeuvred easily. Whilst the weight is being transported, it has a plastic cover on it to stop the weight from getting damaged. The weight is set at 144kg as requested from the customer. The unit has been powder coated in Light Grey RAL 7035 to provide a hard wearing, long lasting finish.